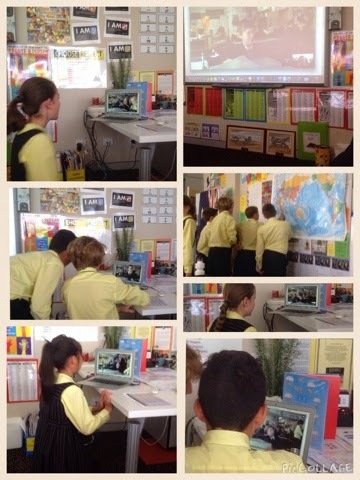 Today in 6D, we used Google Hangout to talk to 6H. We played a game where you had to guess the other class' country by asking questions about where the country was, if it is North, South, East or West, or if it was near an ocean. 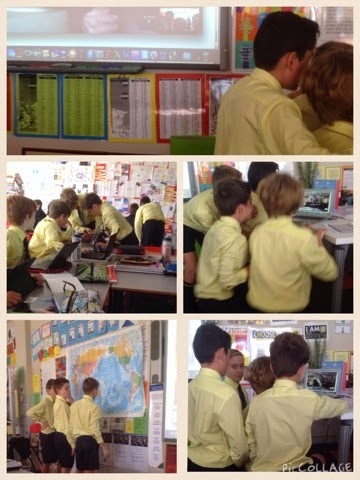 There were different roles for everyone, like Questionaire, Runners, Answerers and Map People! Our country was India and theirs was Zimbabwe. We ended up winning the game and then we had to say goodbye to the other class! 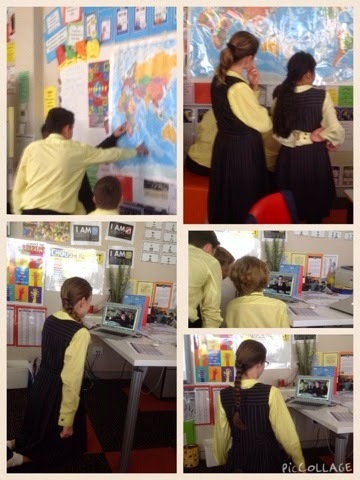 In the future we plan to use Google Hangout to talk to other classes around the world. I loved this lesson! I can't wait to do this again! I loved playing this game! It was very fun, while educational at the same time. Google hangout was really fun, and I can't wait for our next hangout.